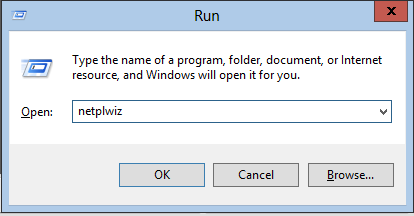 Press the Windows key + R (to open the run dialog box) then type netplwiz and press ENTER. Now the User Accounts dialog box should open. 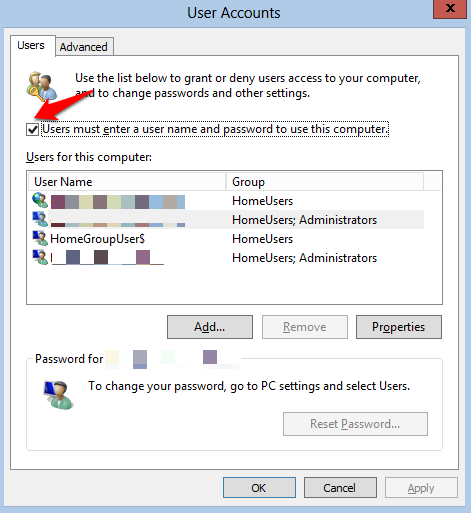 Uncheck the option that says “Users must enter a user name and password to use this computer” and click OK.